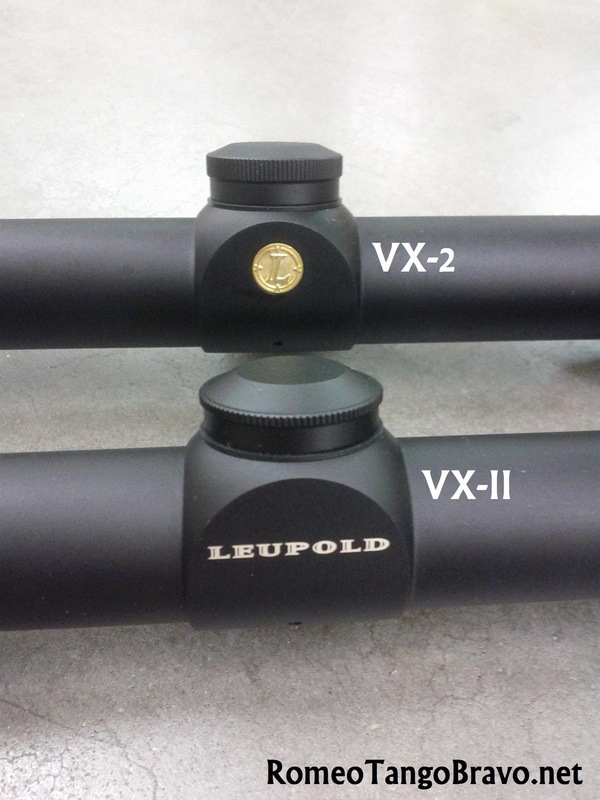 Leupold has updated their vaunted VX-I and VX-II line of optics. 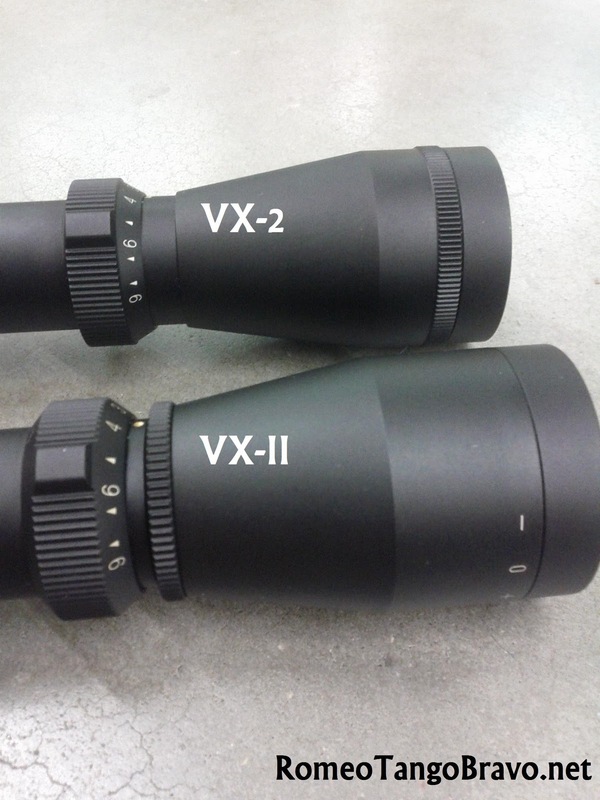 This new generation of optics carry the name VX-1 and VX-2. 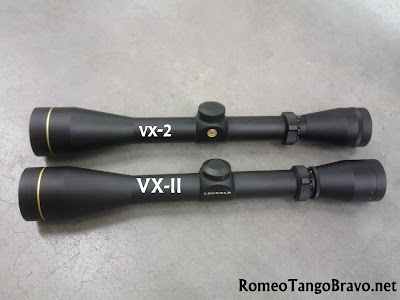 We will focus on the II vs. 2 in this post. As far as a visual difference goes the first thing I notice is that the eyepiece is assembled differently. They have removed the 'lock ring' and replaced it with a friction based focusable eyepiece. The VX-1, however, still incorporates a redesigned lock ring. The next is the turrets. From the outside the turret caps on the 2 are higher. 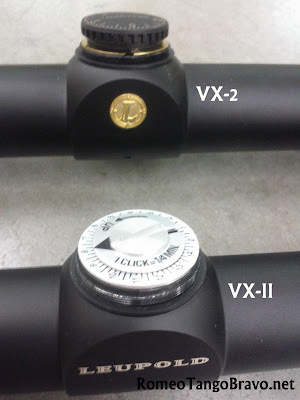 Once you remove the cap you notice that they have replaced the 'screw driver' slotted adjustments with finger adjustable windage and elevation knobs; the same knobs that exist on the VX-3. 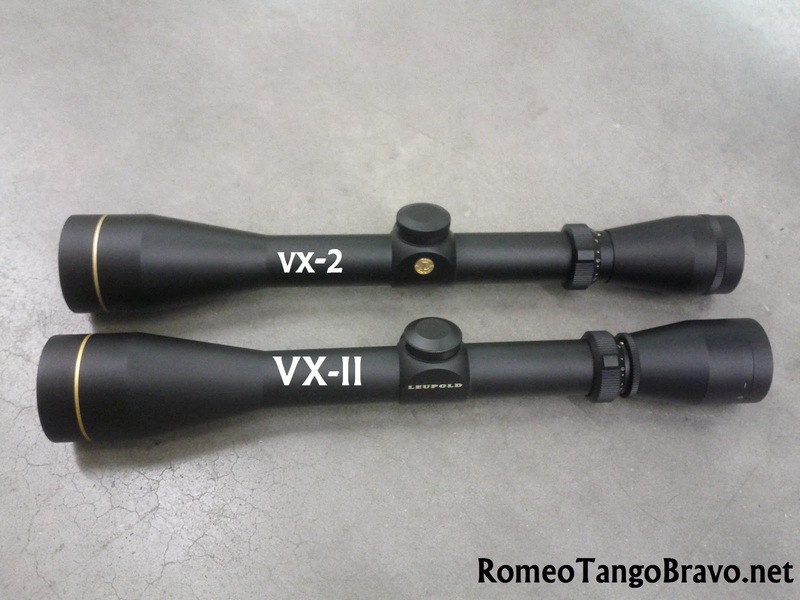 Both VX-1 and VX-2 share this improvement. All of the finger adjustable turrets are 1/4 minute increments. All of Leupold's scopes are still American Made and carry Leupold's Lifetime Guarantee. 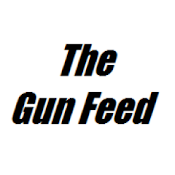 For more information you can always visit the Leupold Website. Love the fact that these are "MADE IN THE USA"! 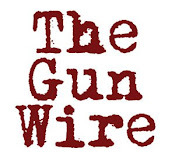 Nice informative piece. Thanks RomeoTangoBravo!